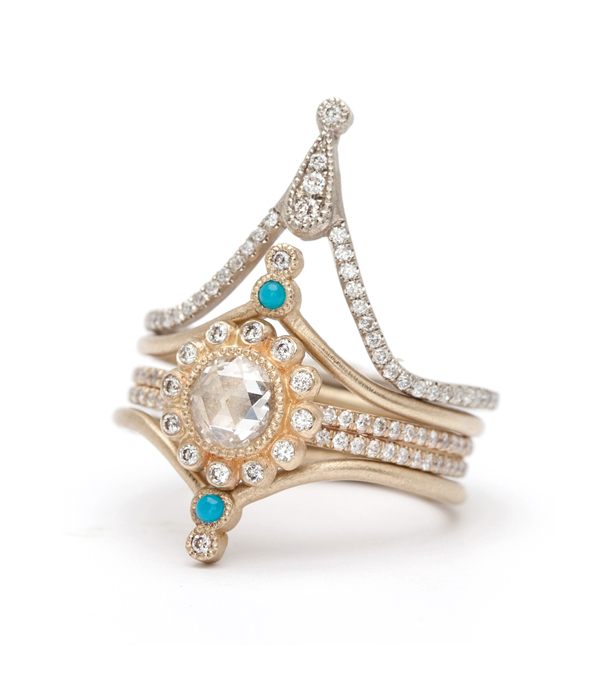 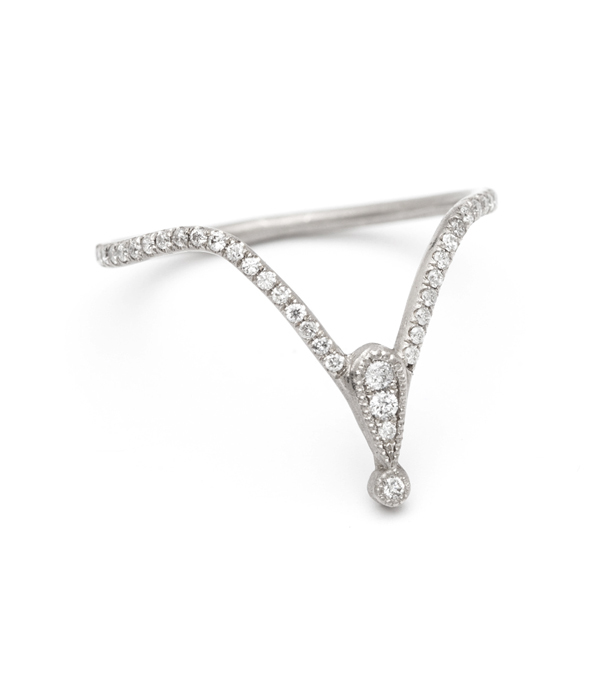 Sparkling and strong, this diamond encrusted stacking ring is perfect for the warrior princess in every woman. 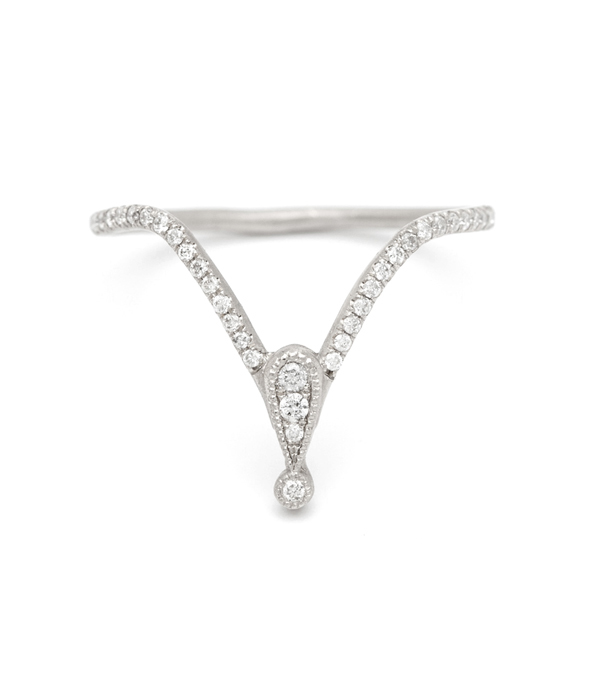 Delicate gold creates a graceful line and diamonds remind us of the natural strength we possess. 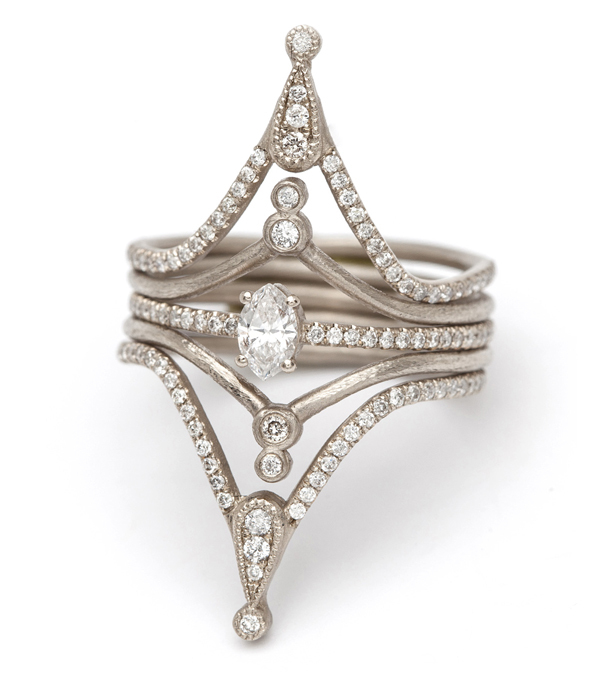 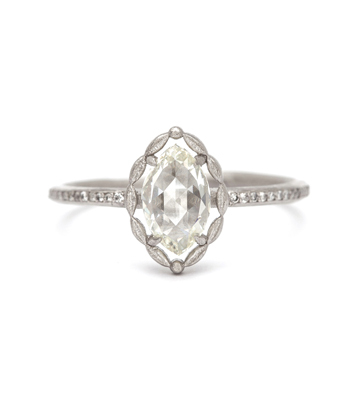 Wear two of these dramatic diamond stacking rings to bookend a traditional solitaire engagement ring to create a fiercely feminine look. 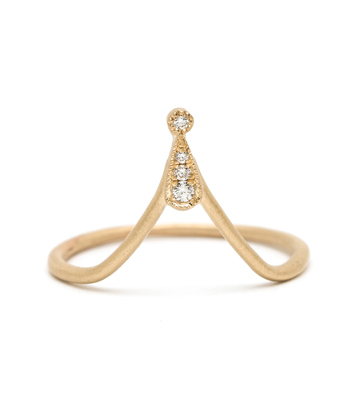 This truly unique stacking ring looks amazing paired with anything from an elaborate vintage band or your other favorite Sofia Kaman stacking rings. 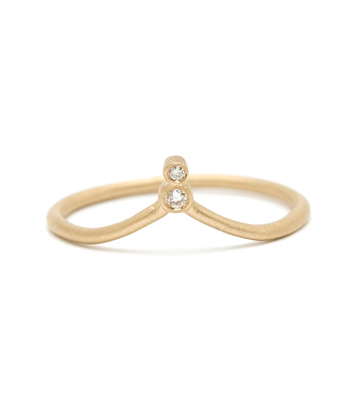 A positively cool way to let your stacking ring be a a beautiful reflection of you. 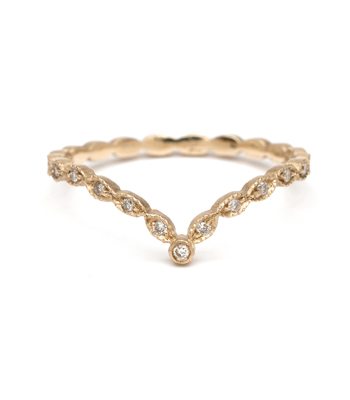 This 14K solid gold diamond stacking ring is set with 0.18 ctw of diamonds, and hand made by our artisan jewelers in Los Angeles. 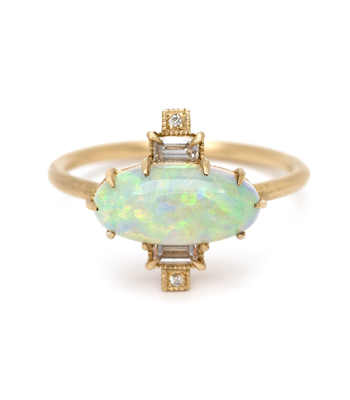 Categories: Alethea, Modern Bohemian, Nesting Bands, Rings, Stacking Rings, Women's Wedding Bands.